DeepMind has done it again. And this time, it can reason its way out of The Tube – London’s Subway system. Google’s DeepMind AI is continuously being practiced upon and tested for numerous applications for which it can function. Some of these applications involve high-intensity thinking and reasoning. But DeepMind has evolved and actually made its way around a solution to a problem it has faced while navigating the Underground. Now we know that even Google Maps can do something as simple as navigate the Underground. But can it learn newer and better ways to? Can it adapt from past memory of navigation and reason out a better route or form a different result? Well no, because Google Maps is pre-programmed and wired to just do the specific task it’s asked to do and nothing else. But DeepMind, can self-learn and adapt to reasoning situations out for itself. It thinks and rationalizes its options until it can find the best assumption to match the answer. These are activities we cannot expect out of an app. This is Artificial Intelligence at its purest. 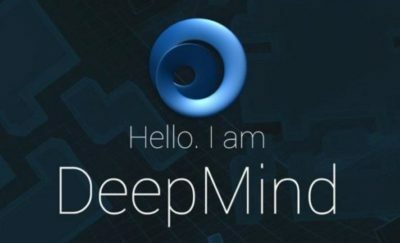 Now DeepMind was able to previously do tasks like accurately translate different languages and do full image and speech recognition. It was even able defeat the chess champion Lee Sedol at his own game. But initially when DeepMind was put to the task of making sense of the London Underground, it was lacking a bit. So the researchers at Google thought that maybe some external memory would help the program form reasonable solutions based on the memory it had absorbed before, so it can learn from its mistakes. And that eventually became the right way to do it. It’s more like when we study for a test, we keep the knowledge and the answers in our memory and fish them out when we need them. Or when we need to remember an instance in the past, we know where to look. Similarly, DeepMind was going through its memory in the same way. “When we described the stations and lines of the London Underground, we could ask a DNC to answer questions like, ‘Starting at Bond street, and taking the Central line in a direction one stop, the Circle line in a direction for four stops, and the Jubilee line in a direction for two stops, at what stop do you wind up?’. Or, the DNC could plan routes given questions like ‘How do you get from Moorgate to Piccadilly Circus?’,” said the researchers about DeepMind’s workings. DNC stands for Differential Neural Computer – which enables DeepMind to come up with its own answers from scratch. So it can actually think out a question before it answers. So if we are telling DeepMind that John threw the ball outside the park and that the ball is on the road, and then ask where the ball is, then DeepMind will have the answer for us. Siri, Cortana or even The Google Assistant can’t pull this off just yet. As a personal assistant, DNC becomes like the DeepMind’s own functioning brain. So now we have an AI that can reason for itself. And come about with answers towards problems we may not know until we ask it. It’s exciting to see how good DeepMind will work in conjunction to more complex questions when researchers develop this feature further.